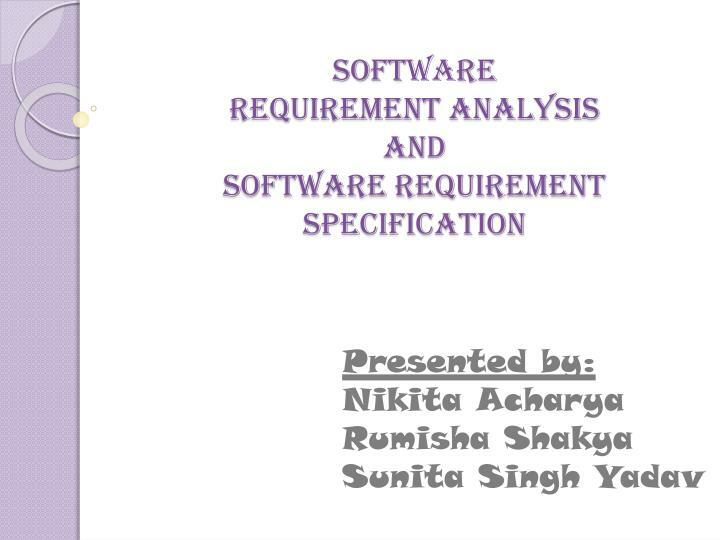 Soft wa re requirement analysis and software requirement specification. 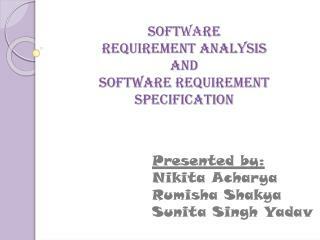 Presented by: Nikita Acharya Rumisha Shakya Sunita Singh Yadav. 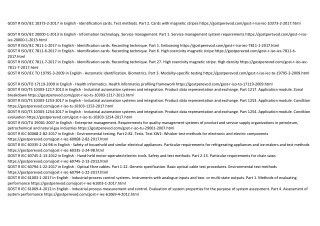 Requirements Analysis. 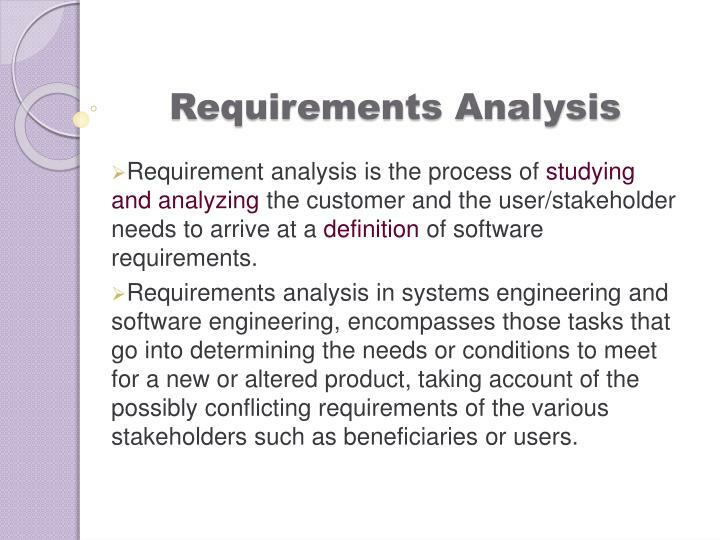 Requirement analysis is the process of studying and analyzing the customer and the user/stakeholder needs to arrive at a definition of software requirements. 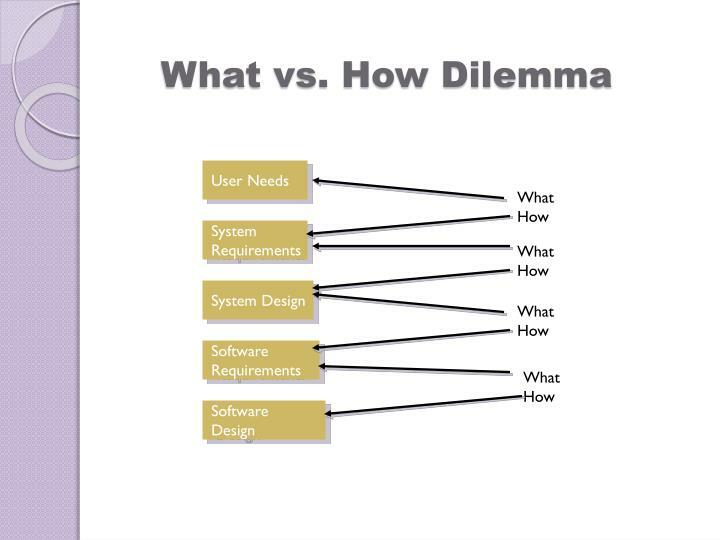 Requirements analysis in systems engineering and software engineering, encompasses those tasks that go into determining the needs or conditions to meet for a new or altered product, taking account of the possibly conflicting requirements of the various stakeholders such as beneficiaries or users. 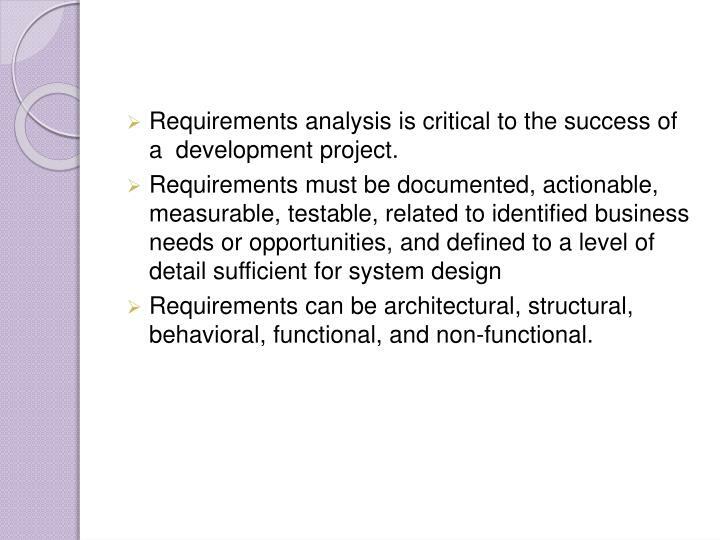 Requirements analysis is critical to the success of a development project. 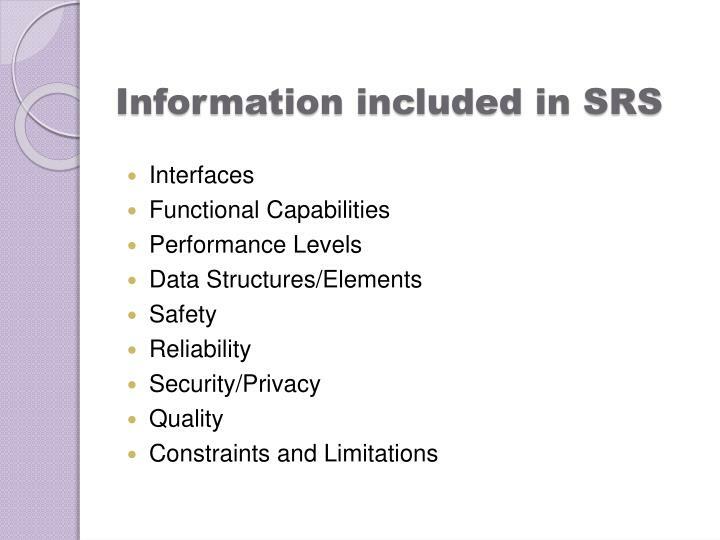 Requirements can be architectural, structural, behavioral, functional, and non-functional. 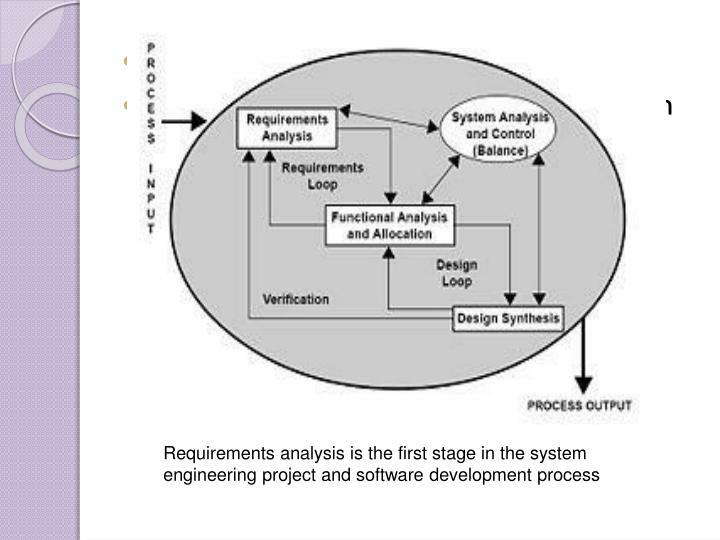 Requirements analysis is the first stage in the systems engineering process and software development process. 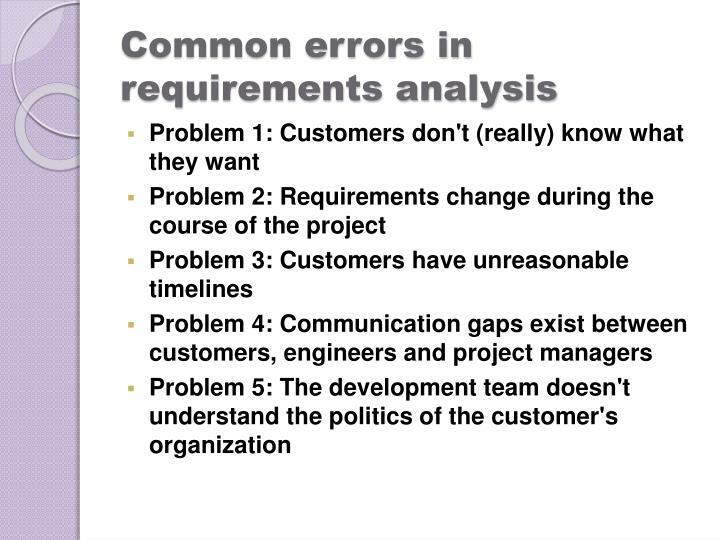 One of the primary reasons why software projects fail is because requirements of the project were not captured properly. 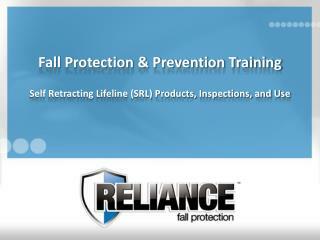 Current software applications often operate over multiple platforms and across many locations around the globe. 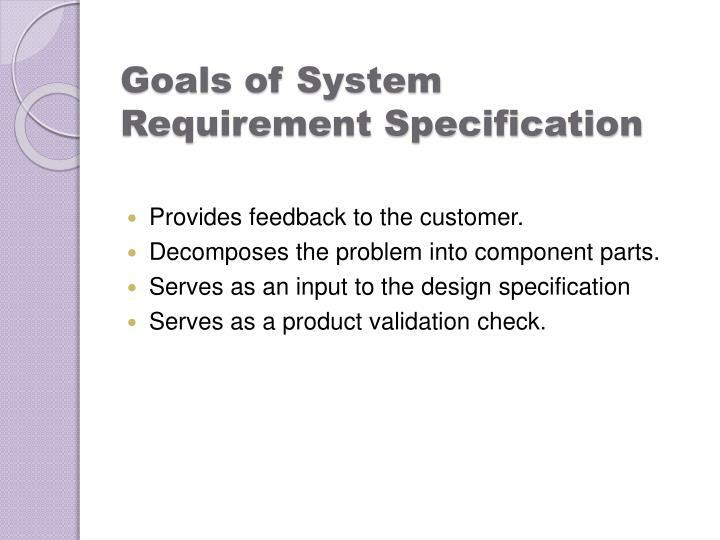 Often during the project lifecycle the demands keep varying and this can also have an impact in eliciting proper requirements. 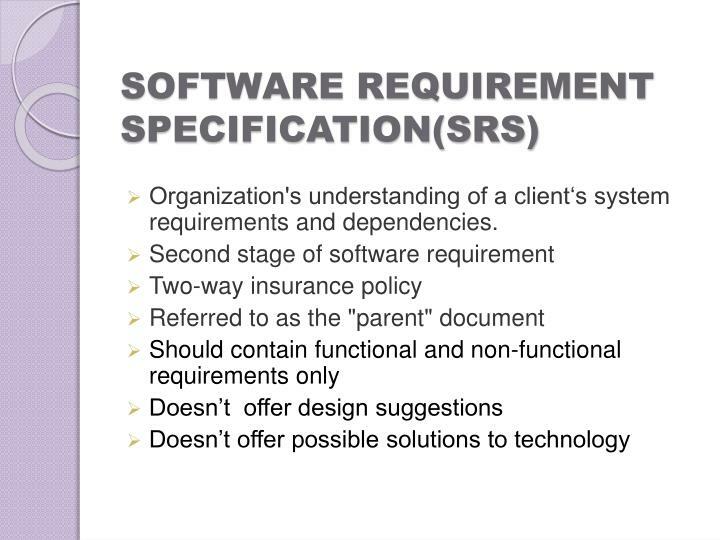 Requirement analysis covers those tasks to determine the needs of a proposed software solution or product, often involving requirements of various stakeholders associated with the solution. 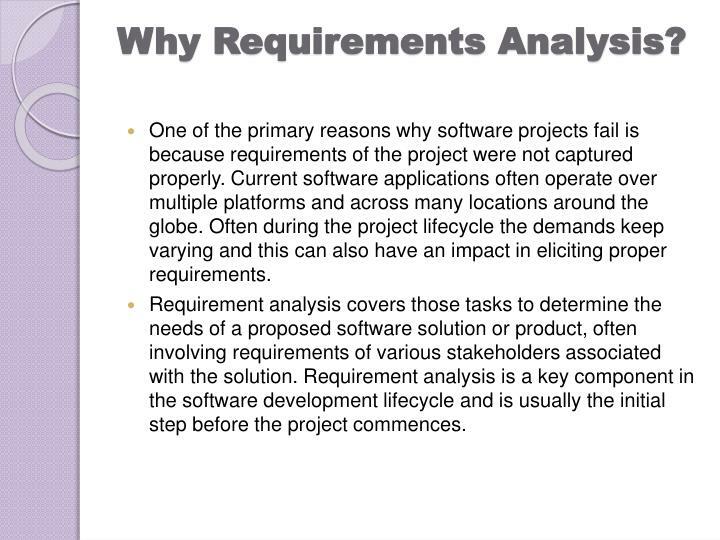 Requirement analysis is a key component in the software development lifecycle and is usually the initial step before the project commences. 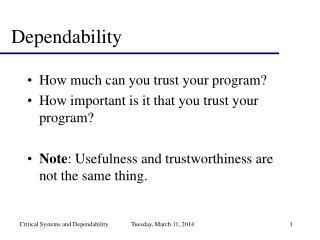 Organization's understanding of a client‘s system requirements and dependencies. 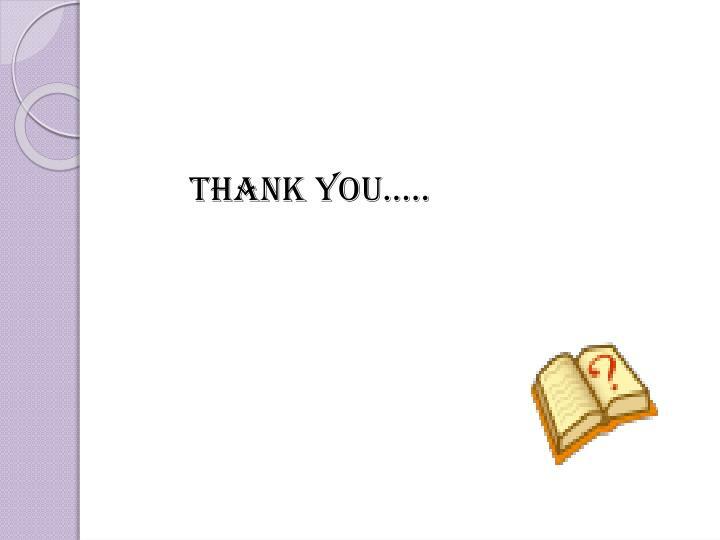 Provides feedback to the customer. 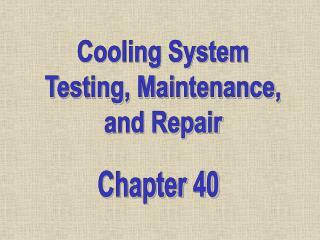 Decomposes the problem into component parts. 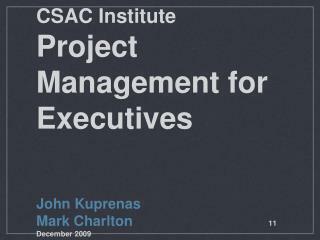 Serves as a product validation check. 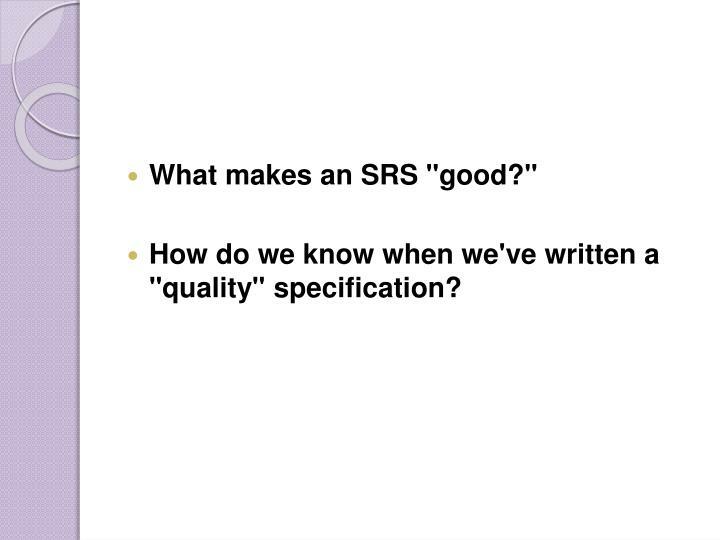 What makes an SRS "good?" 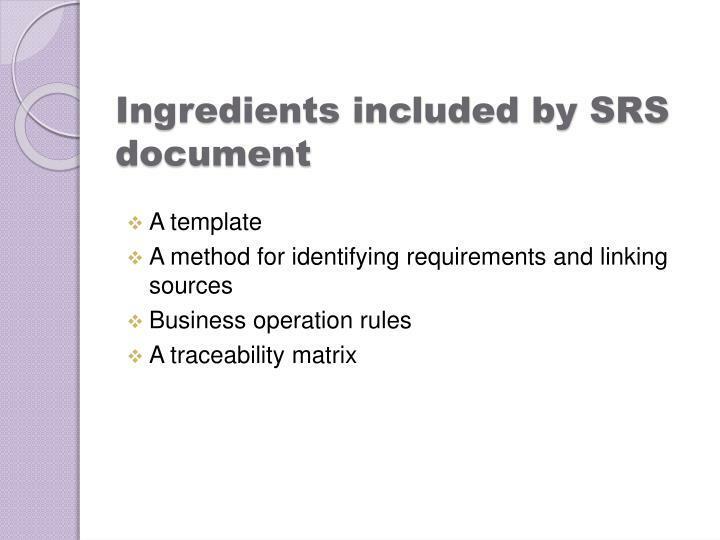 How do we know when we've written a "quality" specification? 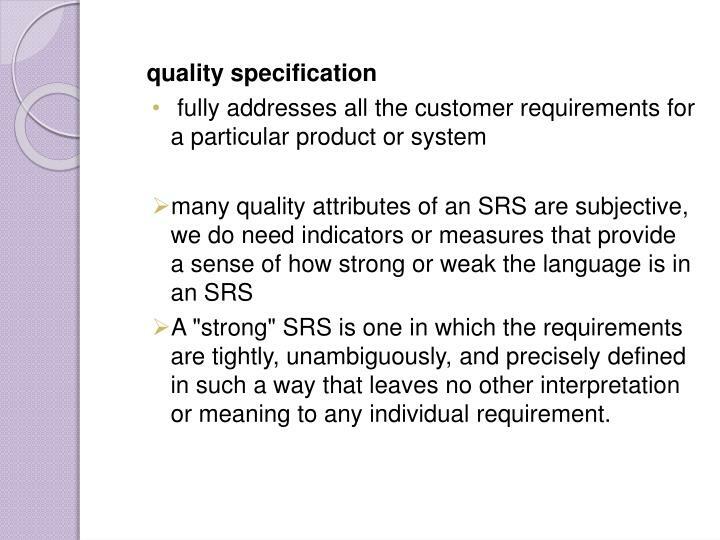 A "strong" SRS is one in which the requirements are tightly, unambiguously, and precisely defined in such a way that leaves no other interpretation or meaning to any individual requirement. 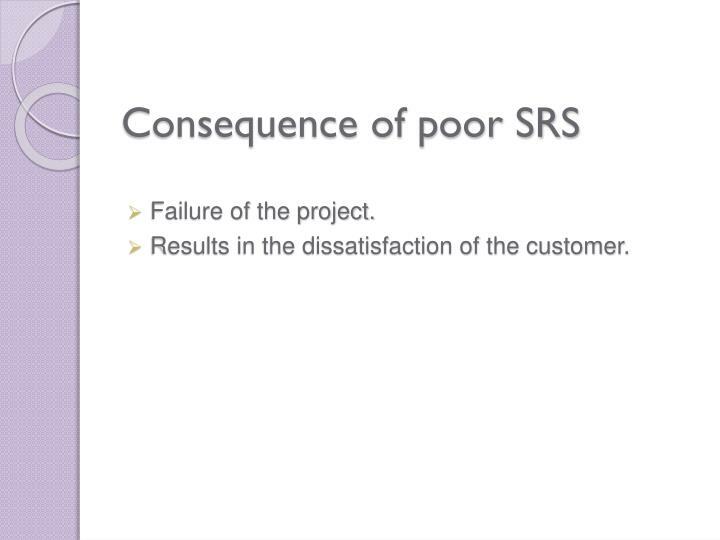 Results in the dissatisfaction of the customer. 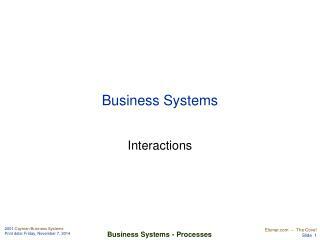 Business Systems -. 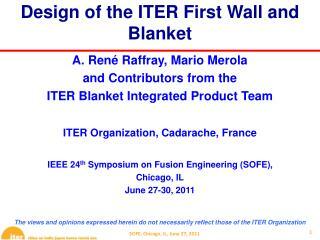 interactions. 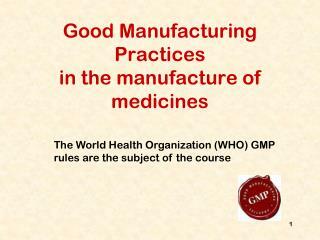 a quality management system ?. 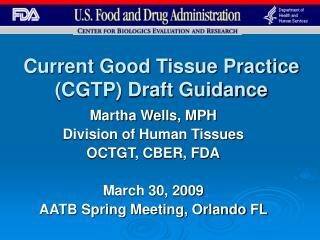 trade relationships. consumer research. design and redesign. 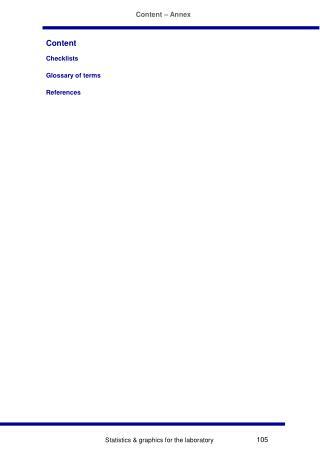 suppliers of materials and equipment a b c d. consumers. 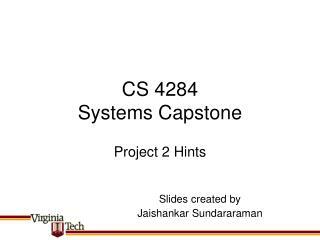 receipt and test of materials. 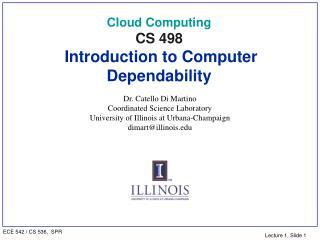 distribution. 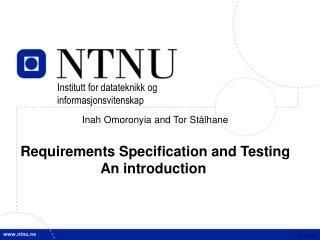 Inah Omoronyia and Tor Stålhane Requirements Specification and Testing An introduction -Institutt for datateknikk og informasjonsvitenskap. 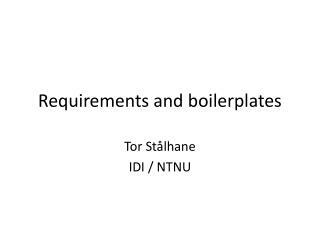 inah omoronyia and tor stålhane requirements specification and testing an introduction. 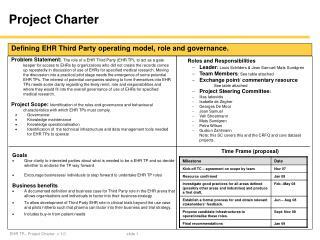 tdt 4242. 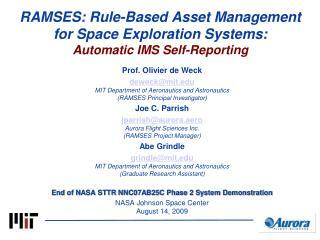 RAMSES: Rule-Based Asset Management for Space Exploration Systems: Automatic IMS Self-Reporting -. 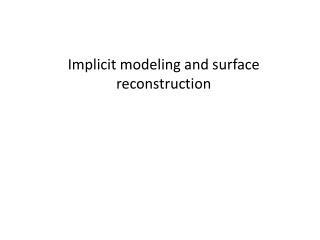 prof. olivier de weck deweck@mit.edu mit department of aeronautics and astronautics (ramses principal investigator) joe c.
MAN 4720: Strategic Management Week 4: External analysis -. 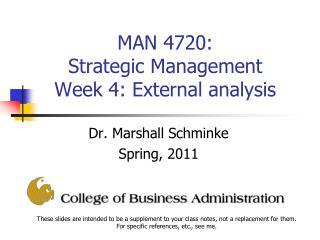 dr. marshall schminke spring, 2011. these slides are intended to be a supplement to your class notes, not a replacement for them. 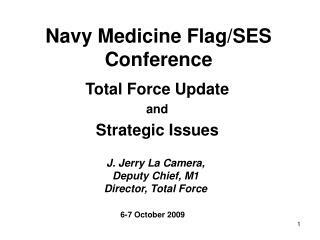 for specific references, etc., see me. 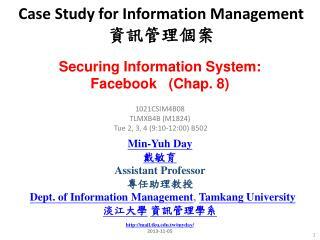 today:.